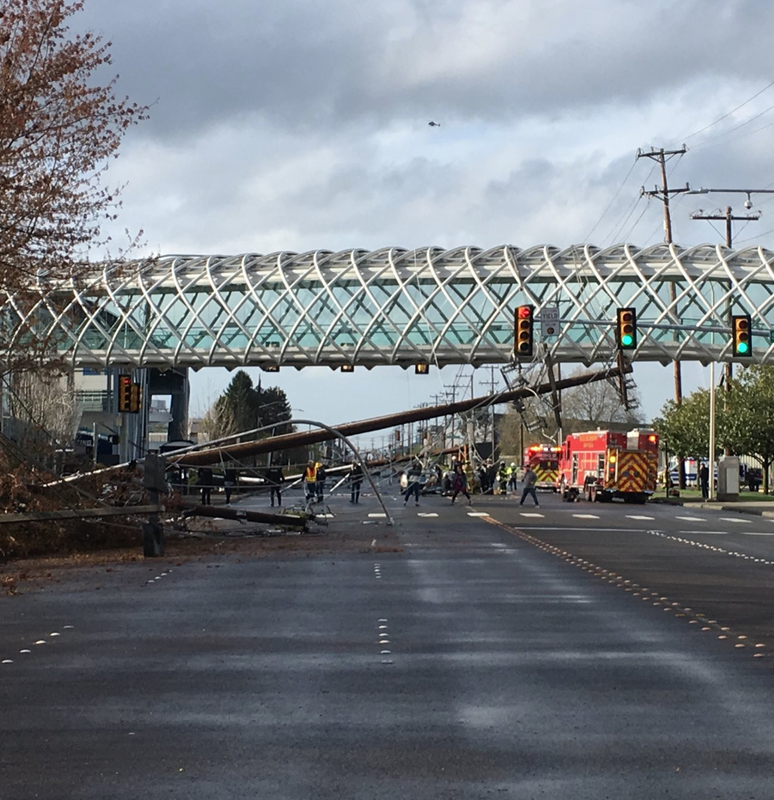 Cliff Mass Weather and Climate Blog: What Knocked Down 24 City Light Power Poles Near Boeing Field? 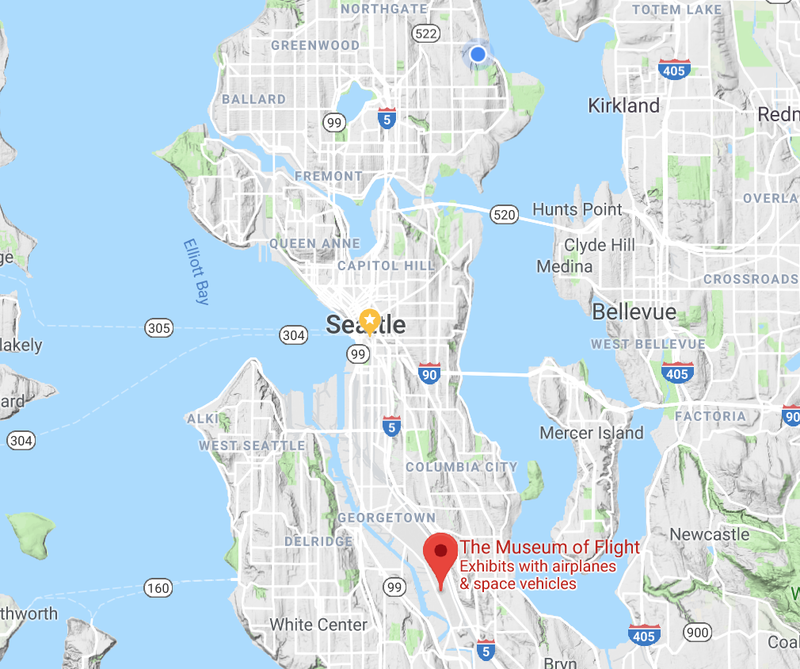 Something extraordinary happened Friday night just before 4 PM in south Seattle near the Museum of Flight at Boeing Field. A line of TWENTY FOUR power poles fell on East Marginal Way near the museum, closing the road, taking out power to tens of thousands of people, and striking a car (miraculously no one was killed). Initial reports were that a tree had hit a power pole--in fact, the opposite occurred. The map below shows the location of the museum and fallen power poles----keep the exact location in mind. So what happened yesterday afternoon--why a catastrophic failures of two dozen poles in a row? Let's do the meteorological detective work. 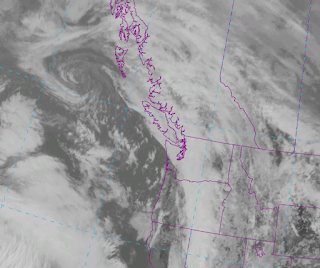 A well-defined front was moving through the region at the time, which is clear from a weather satellite image at 2 PM (see below). Rain and blustery winds were in the forecast. Embedded within the front there was a narrow band of convection--a line of cumulonimbus clouds with heavier rain in which the winds were accelerated. To illustrate this, here are two radar images form the National Weather Service Camano Island radar at 3:45 PM and 3:54 PM on Friday afternoon. The oranges and reds indicate heavier precipitation. This line went through exactly when the power poles started to fall. I suspect this is not a coincidence. There is an extremely good weather observation location at the north side of Boeing Field, about 1.5 miles from the incident site. The observations there indicate the heavy rain from the line and wind gusts to 29 knots---which is 33 mph. Winds were southerly. 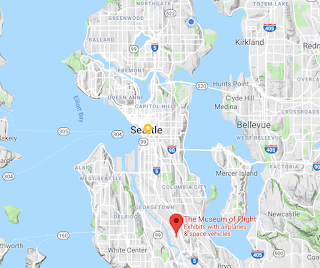 There are no weather observing sites immediately near the Museum of Flight, but there are some amateur sites with a few miles. They also show winds gusts to around the same level as this line went through. They also show sudden temperature declines and a sharp spikes in pressure (see below--look around 4 pm), consistent with a narrow cold frontal band in which frontal characteristics are concentrated. 1. There was one pole (or several) that were rotted or weakened. It failed in the moderate winds and took down the adjacent lines though the interconnected power lines. 2. That the winds were stronger in the location of the Museum of Flight. On possibility is some kind of localized microburst, but that does not seem probable considering the modest heights of the convection and lack of dry air near the surface (which helps rev up the descending air from evaporative cooling). Perhaps a more promising mechanism would be interaction with terrain. 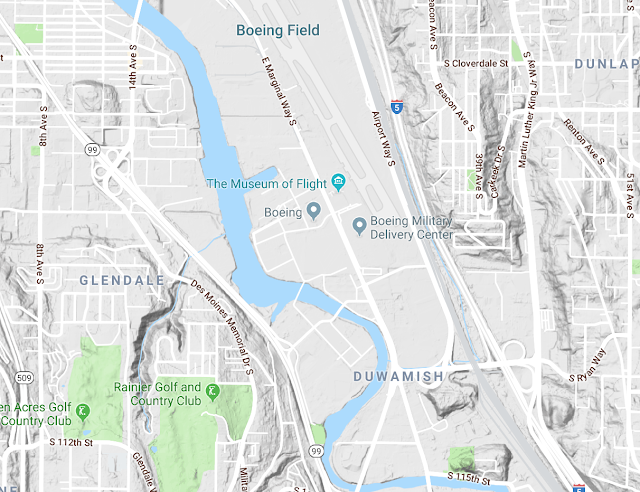 Boeing Field is in a valley with a sharp rise up to West Seattle to the south-southwest of East Marginal Way (see below). Could the interaction of the strong outflow winds from the convective line with the topographic feature accelerated the winds? It would take some serious numerical simulation to test this hypothesis. The key is "winds at nearby sites don't seem strong enough to take down **properly maintained poles**...". I have lived in Seattle for 35 years and have never seen so many downed electrical poles as I have in the last 12 months. Many sudden and catastrophic failures resulting in electrical explosions, power outages (of course), closed arterial roads, and danger to the community. My daughter's preschool was evacuated out an emergency rear exit after a wooden electrical poles snapped in half (in light winds) and closed all four lanes of Leary Way NW for several hours. Ten days later I saw two more downed electrical poles. All were unconscionably rotten throughout. I have since seen still more downed poles AND piles of brand-new poles in certain neighborhoods. This is another example of widespread infrastructure crumbling due to way overdue planning and maintenance. I am fearful that we will not continue to be so lucky with the results of such incidents. A small tornado perhaps, like the one that hit Port Orchard a few months ago? Where did the “domino” start? The south end of the tall poles is adjacent to the large Boeing 9-101 building so I’m curious about orographic effects of that. There are a number of other large buildings north of there. What might it take to get Seattle City Light to sponsor “some serious numerical simulation”? This might be provide useful guidance for ongoing pole condition monitoring and could provide some liability protection. PG&E might consider the same. What about a Von Kármán vortex street wind effect on the blunt wooden poles with that front? I've seen a metal flag pole bend and break in a steady wind. There was a burst of very strong wind on Mercer island at around 3:58pm. Strong enough that I called my kid who was coming out to the car and told her to stay in the building. A minute later it died down to nothing, never changed direction. There’s another possible contributing factor... someone could’ve sabotaged the poles at some point with the goal of this happening during some future windstorm. No idea what caused the utility poles to topple, but it looks like a big miss by the NWS on its 4-6-19 wind forecast (as well as the UW wind model that at least one local TV station uses). The NWS canceled the wind advisory after it become clear not much was happening. A few of the usual exposed areas on the coast and in the straits got some gusts, but that was about it as far as I can tell. Perhaps a harmonic effect induced onto the wires by the wind that amplified the stresses on the poles? I was noticing in one pic a wood pole was splintered like it had been hit by lightning. That could have started the domino effect. Cliff, you surprise me! Data? Simulations? SCIENCE?? Preposterous! All we need to solve this weather mystery is passionately ill-informed assertions and without doubt the culprit in this (and every) case is GLOBAL WARMING! I'm shocked that the obviousness of this conclusion seems to elude you. For shame. Power pole: "I've got a fever! And the only cure...is more creosote!" I work at Boeing directly in front of where the power lines went down. The rain came out of nowhere coming down really hard and the wind picked up sending the rain sideways. Boeing security all said lightning hit the pole and it came down bringing the other poles down long with it. Remember that these are 90’ tall poles as well, not the 40’ poles we have in the neighborhoods. A strong gut that far up is going to have significantly more leverage than on a normal pole. -Anthony notes that Boeing Security reported lightning. -The Weather service (per Seattle Times) said there "were no lightning strikes." -The Cooks (in car hit by pole)"..heard a boom and saw a flash." How accurate is whatever NWS uses for reporting lightning strikes? It would be nice to rule out lightning before encouraging "some serious numerical simulation", but I'd love to see that anyway. Very interesting! I like your weather related event deductions and most of the comments. Keep doing them! You should be proud of your good work, in general, not to mention on your own private blog. I drove past the site tonight, saw at least 6 of the power poles where they broke, some at about 12 feet from the ground, a couple at about 6-9 feet and one just 3 feet from the sidewalk level. Very strange to see, but there is a sort of channel between Boeing buildings where a gust could pick up velocity as it travels to the east. The fact that some Boeing employees and security personnel said they saw a lighting strike is pretty much the smoking gun here, though, if you will. Those poles did not look rotten to me, in fact appeared to be in decent condition. Maybe it was some sort of secret Manhatten Project deal Boeing Defense allowed to get out of control? Lol.. Neither the tree in the first clip or the bicyclist in the second show signs of high wind gusts. Of course, with 26 poles down, a wind gust could have hit the poles further away. Looking at the king5 videos I agree with Quixotix... it looks like a surprising lack of wind in these two scenes. However, at the 25 second mark (clock time 3:50:08 and in the 2nd location) there appears to be a flash. It occurs after the pole starts moving but before it falls. Maybe lighting, maybe arcing from wires or transformers? The first scene in the clip starts at about 3:50:10, ie., after the time of the flash in the 2nd. The timing and location of this event, in regard to Boeing and the recent developments of their Max 8 mishaps, makes this incident all the more suspicious and interesting, to me at least. Tukwila police released video from 2 different angles & locations. There's clearly a lightning flash in both just a second before the poles fall.